Campsite La Pineta is a campsite with 100 touring pitches and 95 year round pitches. 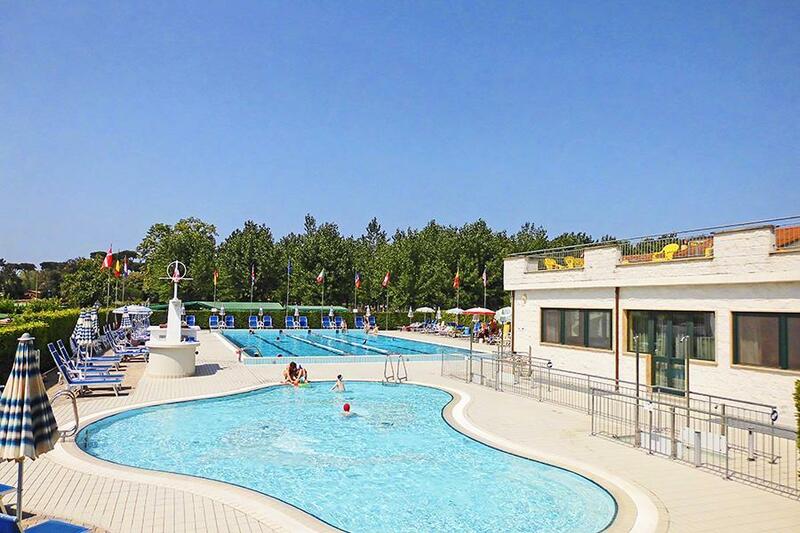 During low season, between 13-04-2019 - 30-06-2019 and 26-08-2019 - 25-09-2019, the nightly rate is €18,- at one of the 100 touring pitches at Campsite La Pineta in Viareggio (Lucca). At this campsite you can not only use your CampingCard ACSI for inexpensive camping, you can also use your ACSI Club ID (as an alternative ID). A very peaceful campsite with shaded pitches; 1300 metres from the sea with a large, free beach. 2 km from the centre of Viareggio, 3 km from Torre del Lago Puccini; 20 km from Lucca and Pisa; Florence 90 km. 1 hour free wifi with CampingCard ACSI. Free swimming pool. The most helpful staff we have ever come across. The lady on reception was very helpful indeed. The swimming pool was exceptionally clean and well maintained. We left the day they closed for the season but they still kept the pool open for the few campers who were there. The beach is about 10 minutes by bike and there is a good supermarket about 5 minutes away, again by bike. If it was very busy access to the pitches would be quite difficult. The railway station can be accessed by a bus from near the supermarket with trains to Pisa. A good place to spend some time. Highly recommend this site. Lady who runs the site is lovely, and could not be more helpful. The swimming pool is big and excellently maintained, the pitches are large, if a little squeeze to get in at first with a larger unit. Easy cycle to the lovely beach mainly through a forest, with rolling mountains in the background - worth catching the sunset here! Just 3km from train station, 20 mind to Pisa and 1 hour 30 mind to Florence. Easy access from the Autostrada. Train noise can be heard, and runs late, and would be loud from the very rear of the site, so imagine in the height of summer might be a negative. We stayed for a week, and would definitely return to this site, perfectly situated for the amazing Tuscany. Pitches are marked out by trees, some are tight for larger vehicles to get into but once in are OK. The touring pitches are at the bottom of the site and there is a train line at the bottom of the site so you hear it go by every 30 minutes or so... even till 02:00! The pitches are even ground no need for leveling chocks. Good swimming pool. It is predominantly annual pitch holders. There is 1 hour free wifi per day. We used this site to visit pisa, we cycled into Viaggerio and took the train to Pisa (15/20 minute very easy) The shower/toilet/wash facilities are basic and outdoor with no hot water at any sink. Showers are cubes and outdoor. We had lots of ants due to the trees and grassy pitches. It was ok for a stopover and to be able to use the train. Would you like to book Campsite La Pineta or request more information? You can do both using the information below or by visiting the campsite's website. A12, exit Viareggio and follow 'campings' signs towards Torre del Lago Puccini. CampingCard ACSI will send your information request to "Campsite La Pineta".